Now with four new shades to choose from, this extended range features plain and tonal chip options, including an on-trend indigo shade to help you achieve high contrast and design flexibility. 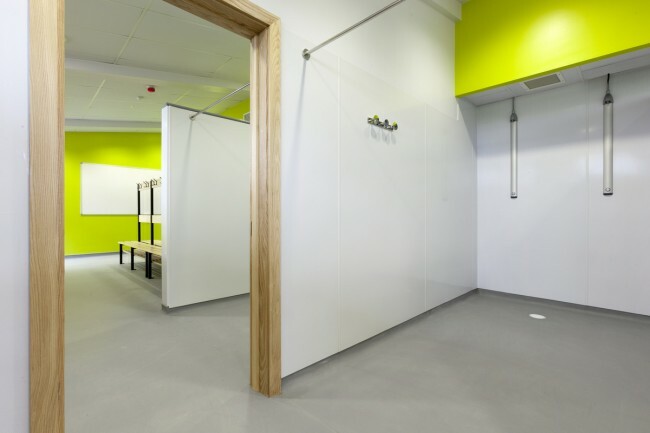 It’s a 2mm safety floor that has been extensively tested on a variety of shoe types to ensure top performance in a host of environments – bathrooms, changing areas, hospital wards. Anywhere you can expect a wet and dry floor environment. It’s also easy to clean, with Altro Easyclean Maxis PUR technology, meaning it’s at the forefront of safety floor cleaning. You asked – we delivered. Inspired by customer feedback, Altro Aquarius was developed for lasting performance in wet and dry, shoes or barefoot. Achieving a PTV ≥50 and Class B to DIN51097 for barefoot use, Altro Aquarius provides optimum lifetime sustained slip-resistance in wet and dry environments.